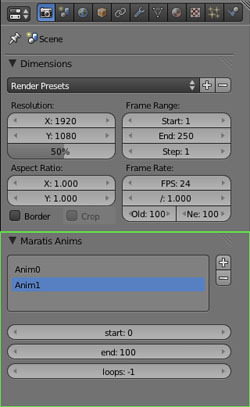 Select Maratis in the Blender Render menu, it will enable special panels for Maratis. 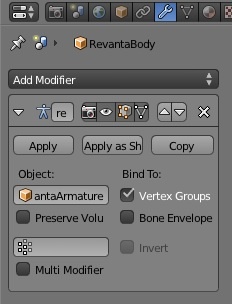 Maratis materials are a bit different than Blender materials, only some features are supported (see the green boxes) and they are real-time oriented. 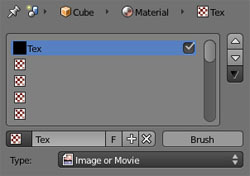 Fixed is used for old generation 3d using multi-texture only (mostly deprecated today). 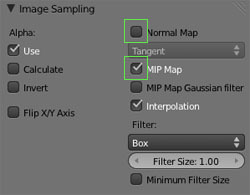 Standard is the simplest mode, it creates a classic material using diffuse, specular, normal-map and emit. 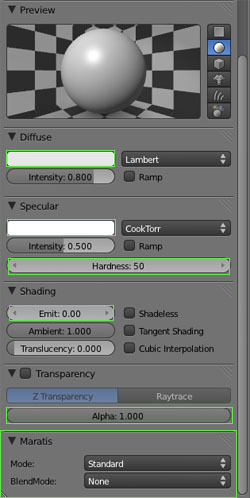 CustomShader is the mode to select if you want the material to use a specific glsl shader, shader samples here. 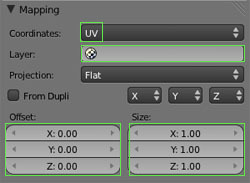 The Blend-mode specify what type of transparency is applied to the material. be sure to turn off the Bone Envelope option. 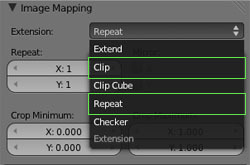 When working on large objects, like a full level with multiple rooms, try to separate the mesh in multiple Blender objects (for example, one for each room). 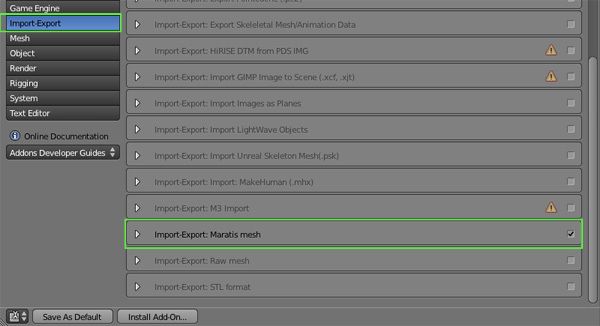 When exported in Maratis mesh format, each object will become a SubMesh. 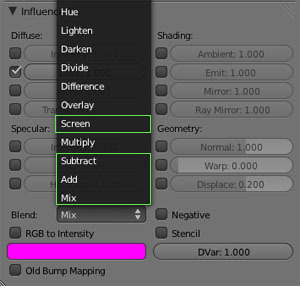 - For more dynamic lights. Maratis standard renderer only uses the 4 closest lights of each SubMesh.